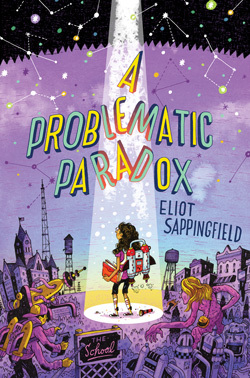 A adventurous middle grade debut centers an super-galactic heroine in this month's Xpress. Sappingfield, Eliot. A Problematic Paradox. 352p. Putnam. Jan. 2018. Tr $16.99. ISBN 9781524738457.